This is a hot item in our store- pure lean beef and roasted to perfection! Nice and chewy!! 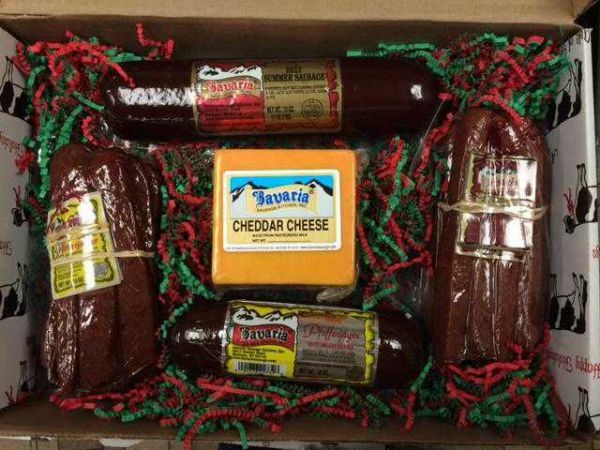 ALL Beef Summer Sausage Special GREAT FOR HOLIDAY PARTIES! 12oz Cranberry summer sausage. made with real Wisconsin cranberries, lean beef and natural spices, then smoked to perfection. Here is our game sausages.It is now available in Venison, Elk and Bison. 12 oz. SUPER LEAN! !